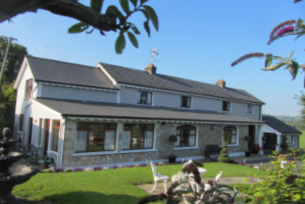 Arradale House is situated on the Kingscourt road, 2.5 miles from Carrickmacross on a 50 acre beef farm, 2.5 miles from Dún-a-Rí Forest Park. Ideally located for touring pre-historic New Grange. Family run B&B. Personal attention. All rooms en suite with TV and tea maids. Flexible breakfast times, see web site for more information.